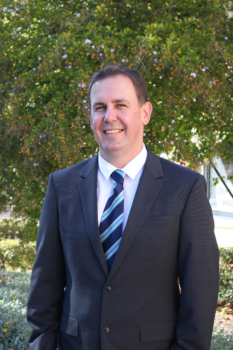 My first month at Peter Moyes Anglican Community School has flown by as I have endeavoured to meet with as many members of the School community as time permits. I have truly enjoyed conversing with members of staff, students and parents at the various events of the past few weeks. I have particularly enjoyed meeting with small groups of Year 12 students and discussing their views of our School. There is no doubt that Peter Moyes is a busy school with a calendar full of engaging events for students and parents alike. This is of course in addition to the core business of teaching and learning occurring daily in our classrooms. Over the past few weeks there has been a wide range of school events and activities allowing our students to develop and nurture their passions and skills. Not only have they participated in sporting carnivals, engaged in excursions and incursions, they have also enjoyed a variety of cultural and artistic activities. A highlight for me was the Junior Production of Disney’s The Lion King. I was quite simply amazed by the outstanding performances of our students and the dedication of our staff in bringing the musical to life. On Friday 17th August the School Community celebrated Peter Moyes Day, remembering the man after whom our School is named. In my first formal address to the student body, I reflected on who Peter Moyes was and the significant contribution he made to education in Western Australia. Not only was Peter Moyes an outstanding educator, leader and visionary, he also played an integral role in the establishment of the Anglican Schools Commission, an organisation dedicated to providing co-educational Christian education in our state. Peter Moyes Day provides an opportunity to remember the man along with those people who had the vision to establish a school in Perth’s northern suburbs. We also recognise past and present members of our School community who have made a significant contribution to our school. We recently welcomed to our School the Consul-General of the Republic of Indonesia, Mrs. Dewi Gustina Tobing and other esteemed members from the Indonesian Consulate. This was Ibu Kon-Gen’s second visit to our School and we are deeply honoured that she gives us her time so generously. Mrs. Dewi Gustina Tobing spoke to our Middle School students, highlighting her enthusiasm for the diversity and high standard of Indonesian teaching and learning that is occurring in our school. Ibu Kon-Gen then introduced our special guests, Papua Original Band, who performed a series of songs for our students. The event was enjoyed by over 500 students and was televised on Indonesian National Television. Other highlights from Languages Week included 20 of our students attending a Flag Hoisting Ceremony at the Republic of Indonesia Consulate on Adelaide Terrace to commemorate the 73rd Indonesian Independence Day Ceremony. The visiting Japanese Exchange Students also made an impression on our students, presenting to both the Primary and Senior School during their short stay here at PMACS. Students and staff from the Primary School were recently featured on Channel Nine’s A Current Affair program. Footage of PMACS Primary students was shown as part of a story on youngsters becoming far too protected, resulting in an increase of ‘cotton wool’ kids who are missing out on invaluable learning experiences. Associate Principal Rod Wood and his staff were visited by the A Current Affair team on Tuesday 14th August, explaining to them that our students here at PMACS are able to come into contact with risky and adventurous play as part of their day to day learning journey. Footage was taken of children exploring opportunities to test their own capabilities, whilst learning to manage risk that will ultimately allow them to grow as capable, resourceful and resilient kids. The latest event in the Connect, Learn, Engage seminar series held on Tuesday 21st August saw Jordan Foster of ySafe.com.au speak to parents about Gaming and Excessive Internet Use. Jordan’s talk focussed on Key Cyber Safety Risks, the ABC of Technology Management, Gaming Management Strategies and the Red Flags to look out for. The session provided parents with a great opportunity to network over a glass of wine, whilst learning how to handle their children’s engagement with the online world. I encourage all parents to keep an eye on our website for details regarding future Connect, Learn, Engage events. In concluding, I trust you will enjoy reading the latest edition of the School Newsletter and I look forward to seeing you on Campus soon.